You have a car, but where’s the title? It could have been lost, destroyed, or stolen before you transferred it into your name and now you can’t get on the road. Well, you aren't stuck yet. You can might be able to get an Arizona Bonded Title. What is an Arizona Bonded Title? An Arizona Bonded Title is just like a regular title. It proves you own your vehicle and allows you to sell, insure, and register your car. An Arizona Bonded Title looks just like a regular title but it is has a "bonded" title brand. Having a bonded title brand means the title has a surety bond attached to it. Because you do not have the title, the DMV is not going to just magically issue you a title. They want to make sure they have some form of protection if you should not be granted a title. This is why they require you to purchase a surety bond (Arizona Lost Title Bond) before they will issue you a title. More about the surety bond and what it means to be bonded at the end of the article. If you had the title in your name at one point in time, you do not need to get a Bonded Title AZ. You can simply get a Duplicate Title by completing a Title and Registration Application, taking it to your local DMV, and paying a $4 fee. While we list some common situations where you might be able to get an Arizona Bonded Title, we do not set the rules. Only your local DMV can say for certain if you would be approved for a bonded title. You can also call the Arizona MVD at 602-255-0072 to see if you qualify. Contact your local DMV or MVD, explain your situation, and ask if you could get a bonded title. Obtain a motor vehicle record search from your local DMV. The purpose of this is to verify the name and address of the last titled owner of the vehicle and any lienholders. To obtain a record search for in-state vehicles, contact your local DMV and complete a Motor Vehicle Records Request Form. There is a $3 fee to run a record search. For out of state vehicles, contact that state's DMV. If a lien is appearing on your title in the vehicle record search, you must obtain a lein release for that lien. Each lien release must contain the vehicle year, make, and VIN. Your vehicle must be free of liens before you can be issued a bonded title. If you live in or commute into the Phoenix or Tucson metro areas and your vehicle registration has expired, you will need to get an emissions inspection. Schedule an appointment by visiting the Arizona Department of Environmental Quality or call 877-692-9227. Tell the inspector you are applying for a Bonded Title. 2. Providing a notarized statement of why they refuse to send you the title. Normally, the recepients have 30 days to respond to your certified letter. View what to do with the responses. After you have completed all paperwork and received the results from your certified letters (or received no response), compile all the documents together. Take your documents to the Arizona Motor Vehicle Divison to be evaluated. View locations. The Department will provide you with your vehicle value. You may need to have your vehicle inspected at this stage. Contact the MVD at 602-255-0072 for more information. Your bond amount will need to be for one and half (1 1/2) times the value of your vehicle that the Department gave you in Step #6. For example, if your valued at $2,000 then you will need to get a $3,000 Arizona Lost Title Bond. Caculate your bond amount, then move on to the next step. Make sure you apply for the correct bond amount that you determined in Step #7. You do not need to pay the full amount of the bond to get bonded, but you do need to make sure you apply for the correct bond amount. After you purchase your Arizona Lost Title Bond, the surety bond company will mail you the bond. Take or mail all documents, including your bond, to the Arizona Motor Vehicle Divison. View locations. If your paperwork is approved, then the MVD will issue you an Arizona Bonded Title. Your title will be marked "bonded". When you get a bonded title, you are promising that you are the true owner the vehicle. The Arizona Lost Title Bond protects the MVD and any previous owners of the vehicle in question. If someone comes forward later on and says that they are the owner of the vehicle and that you should not have been granted a bonded title, they can make a claim on your bond. The DMV can also make a claim on your bond if they feel you should not have been granted a bonded title. Want to learn more about the bond claim process? Check out this resource. Yes, your Arizona Bonded Title is valid for 3 years. This means the "bonded" brand remains on the title for those 3 years, and you remain responsible for any claims that are made against the Arizona Lost Title Bond. If after 3 years no one comes forward and makes a claim against your Arizona Lost Title Bond, you (or whoever owns the vehicle at the time) can go apply for the "bonded" brand to be removed from the title. 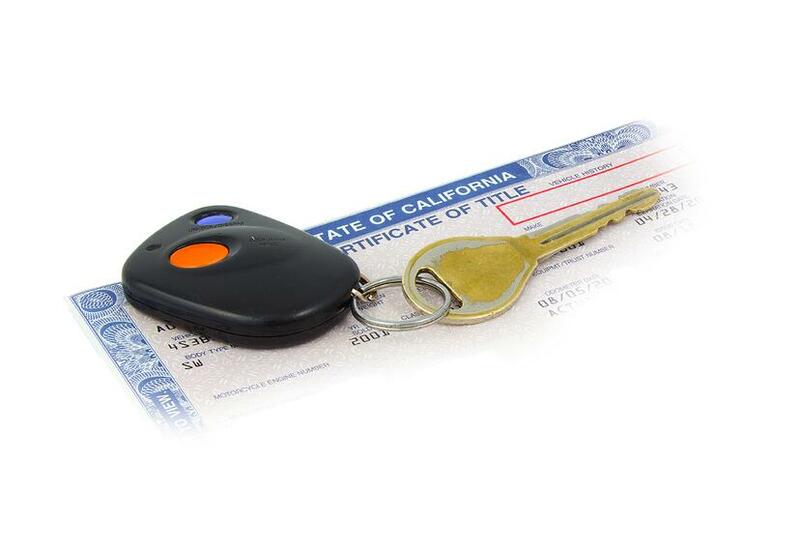 If your request is approved, the DMV will issue you a clear certificate of title. If you wish to sell the vehicle before those 3 years are up, that is okay. Your name remains on the surety bond, though, and you remain responsible for any surety bond claims.